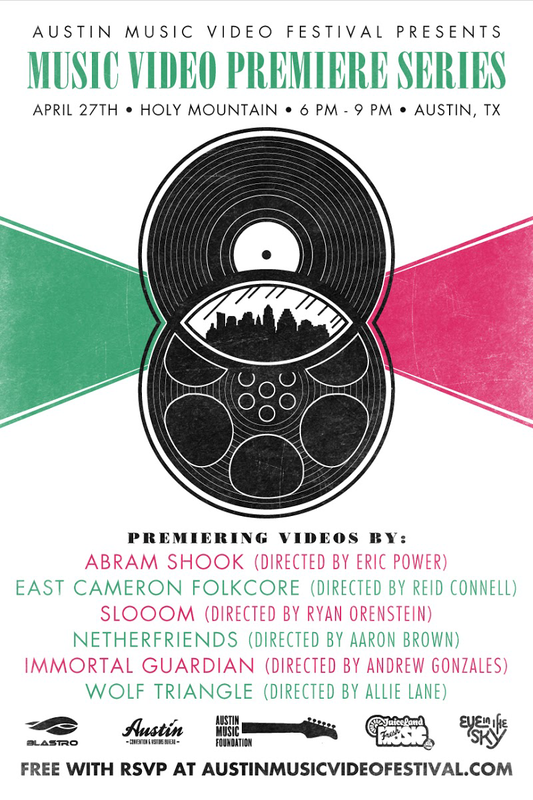 Monday, April 27th we will have our Music Video Premiere Series #2 in our monthly event that premieres selected Austin music videos, and serves as a networking event for the community. This event will be held at Holy Mountain with videos from East Cameron Folkcore, Abram Shook, Slooom, Netherfriends, Wolf Triangle, and Immortal Guardian and a surprise performance. Attached you’ll find the full press release and poster. We’d love it if you could help spread the word! Use the hashtag #AMVFEST for social media.